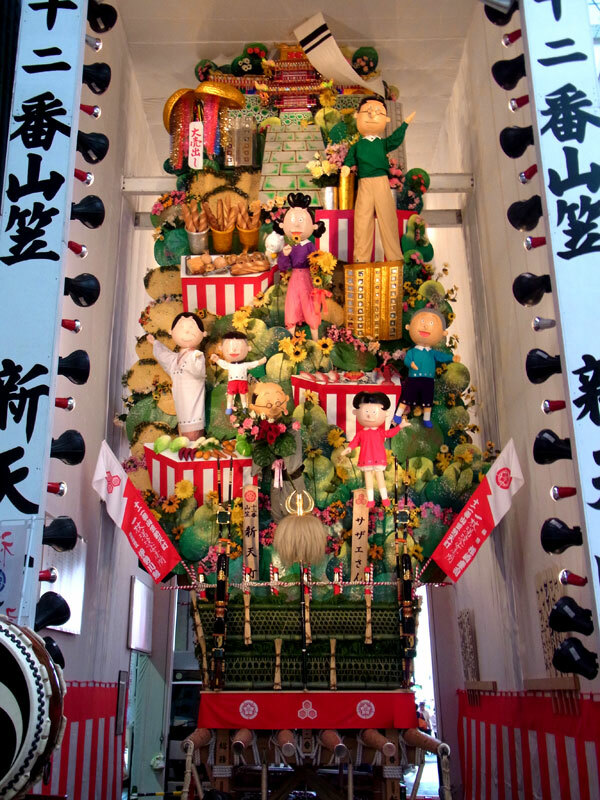 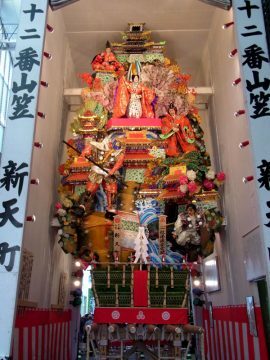 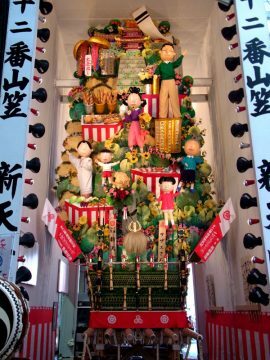 Shinten-chō was the first to build a Kazariyama for the festival outside of Hakata in 1949. 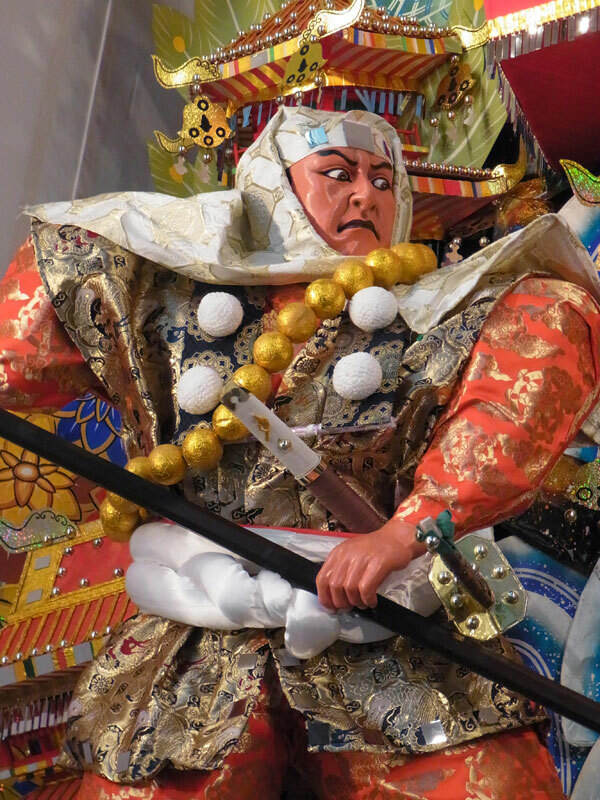 At the time people were reluctant to accept Kazariyama from outside Hakata as a part of the festival, but the merchants of Shinten-chō showed enough dedication to sway the puplic opinion. 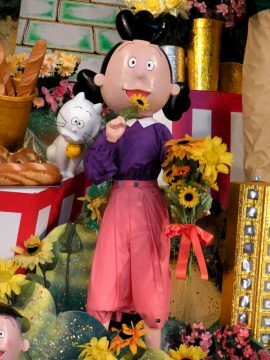 Later its Kazariyama was again a sourche of controversy when Shinten-chōs Kazariyama became the first to not show a traditional Japanese theme but showed Princess Cinderella. Copyright (C) 2012-2016 Yamakasa navi All rights reserved.